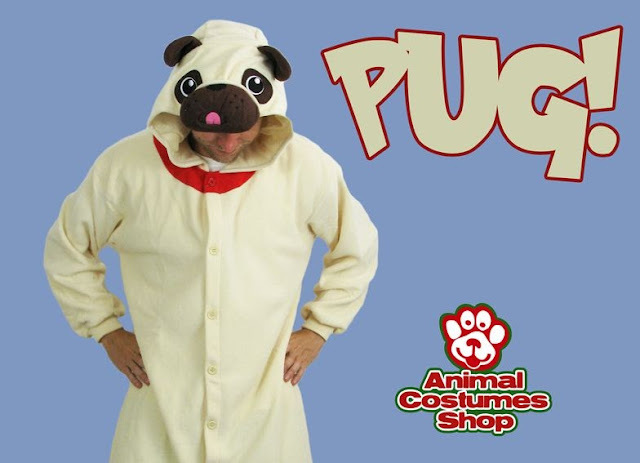 Animal Costumes Blog: New Pug Costume - Super Cute! New Pug Costume - Super Cute! There's a new king of cute in town. This amazing piece of dog onesie super cute overload-ness is a brand new product, and the latest to join the family at Animal Costumes Shop. It is, in case you hadn't figured it out yet, a pug. And not just any old pug, a beautiful doe-eyed pug kigurumi costume that even the most hardened steely "pugs are ugly" type wouldn't be able to resist falling head over heels in love for. Just look how cute it is. LOOK!